Because of this, your union, CUPE, is being proactive and will be strengthening our health care locals by merging all 21 Winnipeg CUPE health care locals under the WRHA into one strong, united CUPE Local. This means CUPE members in hospitals, long-term care facilities, community clinics, and support facilities will be united under one strong CUPE Local! But in order to do this we need your vote! CUPE will be holding votes at your facility so you can vote to strengthen our union. This vote is about voting to unite all CUPE health care members into one strong & united CUPE Local. Strength in Numbers! By merging into one local, CUPE health care members will be the strongest health care local in Manitoba. With 7,000 members, you will become the second largest CUPE local in Western Canada! Lower Dues! By merging into one local, CUPE health care members will pay lower dues. This means lower dues with better representation. One Collective Agreement. Because the government plans to allow only one collective agreement, we are responding by organizing into one strong local so that we can bargain with the force of all CUPE health care members. Until a new collective agreement is negotiated, your existing local collective agreement will remain in place. The new local will work hard to make sure facility-specific issues are addressed in the one new collective agreement. Support for All Workplaces. Under one local, smaller sites will have better access to resources. We believe no site should be left behind, and one local will make all sites stronger, regardless of size. Larger sites will benefit too by having more CUPE members to negotiate with side-by-side! Staff & Resources.The new local will have dedicated staff to help organize, manage finances, deal with grievances, and work with CUPE National to ensure the best servicing possible. Mobility. Because of the government’s changes, health care workers will have more mobility to work throughout the WRHA. This means there needs to be one central CUPE local to make sure members are consistently represented throughout the WRHA. Leadership. Every health care site will continue to have elected leaders that will serve on the new local executive. You’ll still have strong, local CUPE voices at your workplace. Locally elected leaders and shop stewards will still have access to the training and resources to help you in the workplace. CUPE will be meeting with you and your local leadership at general membership meetings to discuss this proposal and answer any questions. A vote on the proposed new local will take place at a regular or special general membership meeting so all members can vote to join CUPE’s one strong health care local! Please keep an eye on your local union board, and talk to your local executive. Change is coming! We must be prepared to fight back, and one CUPE health care local will get us there! 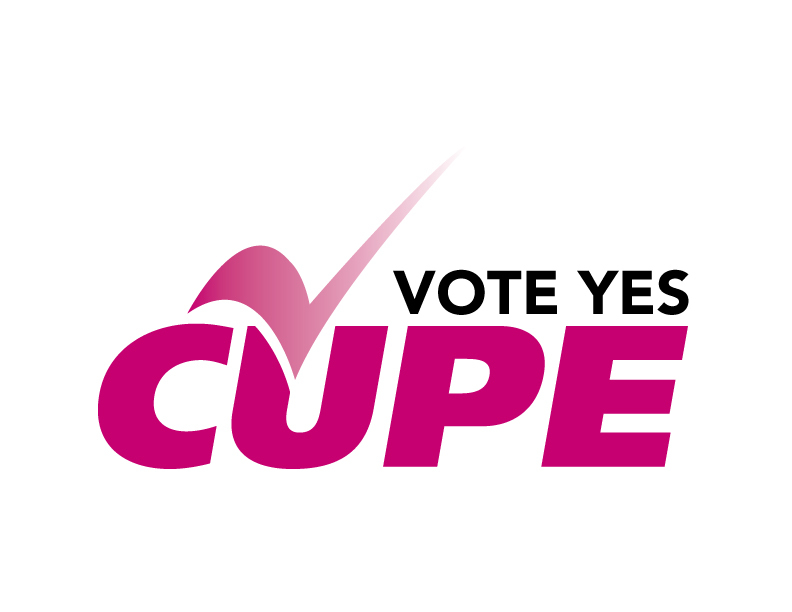 Please VOTE YES to joining one strong CUPE Local!